Fetlar Developments Ltd is very pleased to have been awarded a grant by The Village SOS fund. The grant will provide funding for one year, for a part time Fetlar Tourism Development Officer. 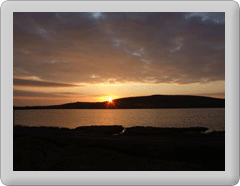 Their role will to be to act as a focal point for the development of the Fetlar tourism sector. The Fetlar Tourism Development Initiative will actively promote Fetlar as a tourism destination, as well as developing new markets and looking at ways of extending the current season. Fetlar Tourism Development Officer will also work closely with local tourism start-ups and existing providers to support them in developing their businesses. Fetlar Developments has also managed to secure the assistance of a graduate intern sponsored by `the Highlands and Island Social Enterprise Zone (HISEZ), who will work with the company for 3 months. Developing and marketing and communications materials for FDL, in support of both the Development Worker and the new Tourism Development officer.